Black Friday is upon us once again. Deals for cut-price clothes, televisions, appliances – you name it – are popping up. And for a limited time only. While stocks last, you could snag a bargain before Christmas. Traditionally in the UK, you had to wait until the day after Christmas for these kinds of offers. But the last few years have seen Black Friday imported from the US, where it comes the day after Thanksgiving. Crucially, it is the day that retailers are finally able to turn a profit for the year – putting their accounts in the black, hence the name. With retailers increasingly struggling to survive, the need to lure people into spending has never been greater. To do so, marketers play on two of our key emotions: pride and regret. Research on decision making has shown that fear of future regret influences our decision making. While the feeling is only experienced fully after the fact, it can be anticipated before an action, and we are therefore driven by a desire not to feel it. Regret is a complicated emotion that can manifest itself both in the form of "acts of commission", regret when we do something; as well as "acts of omission", regret when we don't. Research in the area has produced some conflicting results. People have reported feeling more regret for actions that led to a bad outcome than bad outcomes that occurred from failing to act. But long-run regret is often linked to things not done rather than actions taken. For consumers presented with the option of participating or abstaining in Black Friday, regret may well be triggered in both cases. Regret for taking part in the sale, or regret at not having taken advantage of the discounted offers. So which option is likely to prevail? The answer may well lie in the consumers' emotional memory. What decision did they take the last time and how did it make them feel? Actions that resulted in emotional pleasure are likely to be repeated and reinforced. Research on transactions that are made for purely financial gains (such as investing in the stock market) has shown that investors are able to sustain their appetite for trading by making trades that enhance the emotional experience, without actually improving performance. Thus, investors engage in reinforcement learning by repurchasing stocks whose previous purchase resulted in positive emotions and avoiding stocks whose previous purchase resulted in negative emotions. While investors are unable to predict the future outcome of their trade, they are able to predict how they are likely to feel based on what happened the last time. The same may well apply to consumers' approach to Black Friday. 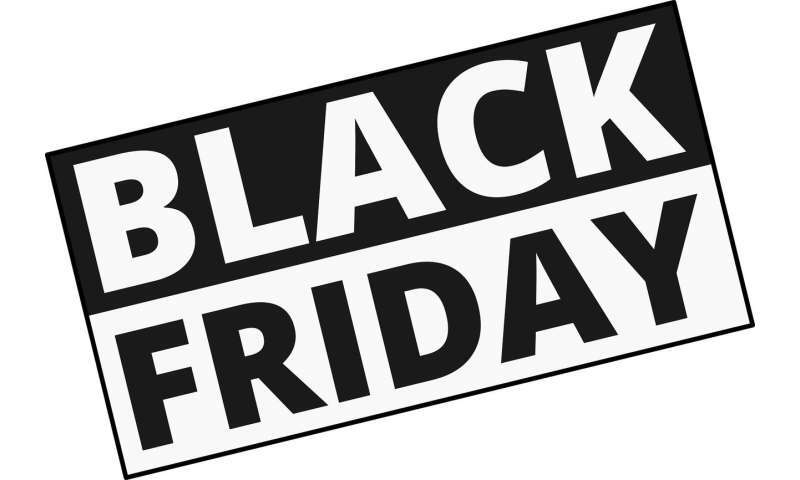 If the price of the item went up after it was bought at a discount it's likely to result in pleasure, increasing the chances of participating in Black Friday sales again. If on the other hand, the price of the item was further reduced in a post Black Friday sale, the pain of not having saved as much may result either in abstaining from Black Friday in future or from the retailer that increased the discount later. While regret is an emotion to avoid, pride is actively sought. In the case of investors, selling a share at a loss induces regret, while selling at a gain induces pride. This leads to a disposition to sell profitable shares and hold on to those in losses, a phenomenon known as the disposition effect. Decisions are also likely to be coloured by the response of others to our purchases. If a consumer was applauded for getting a good deal, the anticipated pride may result in pursuing a Black Friday bargain again this year. Research shows, however, that pride and regret do not have equal power over us – regret is stronger. For a consumer who bags a bargain in the sale only to find the item was further discounted at a later date, the initial feeling of pride may be tempered by the regret at having bought it too soon and not receiving an even bigger discount. So if a mixture of pride and regret was experienced, it will likely lead to inaction with consumers staying away from the sales this year. Consumers may not be able to predict if the discounts will go up or down, but they will have a sense of how the decisions will affect them emotionally. Remember that saving £100 is likely to bring less pleasure than the pain of having spent £100 more than was needed if the item was further discounted. So if you're looking to bag a Black Friday deal, be aware of your emotions and avoid a festive financial hangover. Some dirty, manipulating, running dog lackeys of Vampire Capitalism have invoked it as a necessity --ie personal reality-- for those persons unfortunate enough to have been bred in a uniquely American, Christian/Socio/Economic/Political milieu, to mortgage their future financial well being in order to perpetuate a myth of "giving" to satisfy the neverending, remorseless, requirement of Vampire Capitalist profit. Take the Family for a nice nature walk for XMAS. That might acquaint them with what really matters.